Not since the early days of the sport has a single goggle design brought so much innovation. Long ago, Oakley's founder developed an entirely new goggle that became a mainstay in the sport for 17 years. You are now looking at the future of MX goggles. The Mud Flap prevents water and mud from getting in between the lens and the roll off system film and prevents sticking. The Replacement Mud-Flap for the Oakley Front Line MX Goggle. 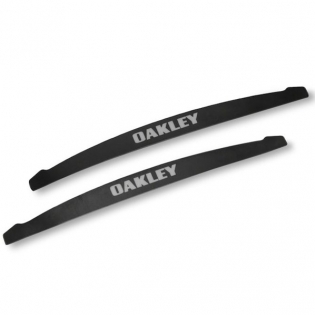 Compatible with all Oakley MX Front Line Roll off systems.